Quavo, one-third of rap group Migos, had a celebrity flag football celebration for his birthday, a day early, at his old high school Berkmar High School. Even though the rapper shared the event on Instagram it was a private, ticketed event. Huncho Day consisted of two teams: Team Huncho, coached by 2 Chainz and Team Julio coached by the NFL's Atlanta Falcons Wide Receiver, Julio Jones. A lot of rappers such as Offset, Jacquees, Rich the Kid, 21 Savage, YFN Lucci, and even wrestle legend Ric Flair were in attendance at this event. Children from the Boys and Girls Clubs in the area were also able to attend and being that it was private and ticketed only a select few of others got free tickets. 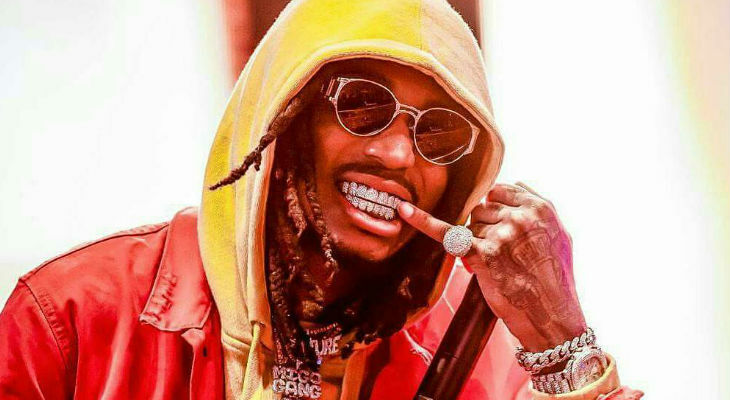 Even though Quavo has risen to success as a rap star, he's still no stranger to sports. Back in high school, he was known for being a star quarterback for the school's football team. Despite being a thin football player, words from his former coach John Thompson, he ended up being a starter on the team and played extremely well. At the end of the game, Julio Jones was awarded MVP and his team took home the win! Huncho Day's flag football was a success for Quavo and the community. By the end of the night, Huncho Day continued and Quavo made his way to The Empire, a nightclub in Atlanta, and went on his birthday there. Huncho Day in the Nawf was a complete success! H A P P Y 2 7 T H B I R T H D A Y H U N C H O! I don’t usually comment but I gotta admit thankyou for the post on this great one : D.